Over the next couple of weeks, we'll be hearing a lot about company and personal income tax cuts. The Turnbull government holds the view that tax relief for companies and middle-income earners is necessary to improve the economic prosperity of Australia, offering a financial hand up to households struggling to pay their bills. "It's not as if there is a large cohort of unemployed persons who are without work simply because they do not want to work and because they are in receipt of sufficient welfare payments to live comfortably but frugally." Back in 2012, when the Senate conducted an inquiry into the level of payments, the Business Council of Australia acknowledged Newstart 'no longer meets a reasonable community standard of adequacy and may now be so low as to represent a barrier to employment'. If anything, it is now worse. It's not as if there is a large cohort of unemployed persons who are without work simply because they do not want to work and because they are in receipt of sufficient welfare payments to live comfortably but frugally. The latest unemployment figures sit at 5.6 per cent — roughly the same as when the Coalition first came to power. And that's before we consider the significant issue of underemployment. 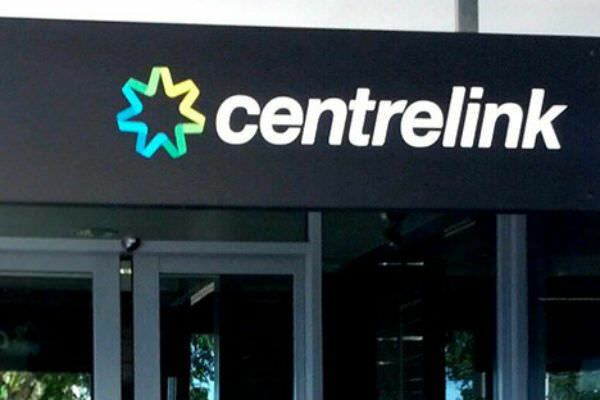 When there is no obvious prospect of the government's budget settings reducing unemployment and underemployment and when wages are static, government should not punish the unemployed by paying welfare payments that are inadequate. This places too much burden for 'budget repair' on the shoulders of those who can least afford it. By all means, reduce the welfare payment by a factor calculated to provide motivation for participation in the workforce. But tell us how that factor is calculated and according to what criteria. If employment for less than the minimum wage is prohibited (as it is in Australia, and for good reason), then we need to provide welfare payments commensurate with the individual's capacity to survive frugally and with dignity while participating in the lottery for a scarce job that pays the minimum wage or more. It's time for our major political parties to commit to the establishment of an independent commission to set evidence-based benchmarks, ensuring adequate income support payments for those Australians unable to get full-time employment through no fault of their own. The setting of the minimum wage, which is carried out in isolation from any 'budget repair' conversation, provides the blueprint for a transparent, consistent approach that can allow those who are seeking work to live — and try to find a job — with greater dignity. The ridiculous thing is (and the Liberal party knows this), economic modelling has always shown that the economy receives the largest boost possible by directing tax cuts and welfare to the lowest earners first because they have the highest marginal propensity to consume and this enhances the multiplier efect. It is facile to argue differently. A must read for all involved in current debates about reducing taxes. Four years volunteering with St Vincent de Paul Society has taught me just how poor people are on Newstart, particularly for people with one or more children to care for. Stagnant wage settings are almost as bad; the obscene 10:1 ratio of profits to wage increase quoted by Father Frank clearly demonstrates how far Australia has moved away from the just society of "everyone gets a fair go". A key point has been missed. The REAL unemployment figure shows we have 1.5 million unemployed or one vacancy for every twenty unemployed, plus around 1 million underemployed. All the parties in the Federal Parliament deny this. Consequently they won't increase the dole payment. Dodgy figures lead to a dodgy analysis and therefore dodgy decisions. Another point to consider is the classifications. Many Australians would be appalled to discover that a man with non Hodgkins lymphoma, currently ungoing Chemotherapy would be classified for Newstart. Even with advances in treatment the five year survival rate is around 70/30. So while you are desperately fighting for life you are also expected to be looking for work. The treatment for cancer is gruelling and debilitating. The stress created by such low payments does nothing to enhance health. We have truly become a heartless nation. Shame on you Australia. Liliane P.
The quality of a society can be judged by the manner in which it treats its most vulnerable citizens. Australians (25-64 years) searching for work are expected to survive on the New Start Allowance of $545.80 per fortnight. The minimum wage, designated as a ‘livable’ income, is currently $1345.40 per fortnight. What does this comparison say about fairness and decency in our country? Meg Scally. You draw attention to the difference of $800.40 between New Start allowance and the minimum wage and ask what it says about fairness and decency. It says nothing about either. What it does illustrate, however, is the difference between productive employment on behalf of the community at large and unproductive expenditure by the community at large for no return. The fact the New Start allowance exists is, however, fair and decent - not every society makes such an allowance. Hi Liliane P. Exactly. Ridiculous that someone with NHL should be on Newstart. It's the product of the "one size fits all" approach of the present Centerlink and its Minister. I have known people with terminal Leukaemias who have been walking and talking, getting to hospital clinic appointments (albeit with taxis or family driving them) ten days defore their death. No doubt Centerlink would say: "you can walk independently so look for a job". The result of Centerlink not employing assessors with some clinical background. Incidenatlly, Newstart hasn't risen (i.e. not indexed to inflation) since 2000. We had a Labor Govt 2007-13, so why didn't it do something about it? Something with which to challenge Shorten. I think this articles in the U.S. "National Catholic Reporter" would be interesting to everyone, and you too, John Frawley . https://www.ncronline.org/news/opinion/editorial-proposed-cuts-food-program-are-immoral Some of the Republican proposals are draconian, but keep in mind cuts very similar to theirs were almost introduced in our 2014 horror Federal Budget. One line of yours I agree with, John. You wrote: "..unproductive expenditure by the community at large for no return." Every cent given to Newstart recipients goes back into the community to be spent on goods and services, with one significant exception, rent money. That goes into the bank accounts of landlords who squirrel it away out of circulation as they have earnings qwell in excess of their needs. Or maybe they will send it overseas in the form of a purchase of an Audi or BMW. How about that? "Lifters and leaners" eh? Thank you for the reference in NCR, Bruce Stafford. It is certainly a clear depiction of using a sledge hammer rather than a tack hammer to crack a pistachio nut! It also highlights Liliane's comment and your suggestion that not one size fits all and that in the matter of welfare some independent assessment process has to be implemented to ensure that the sick, disabled and unavoidably disadvantaged are properly cared for by society at large without any obligations to be met. Then we might have a true welfare system rather than an economic model. Money is a bugger of an evil! However, I doubt that we can learn anything much from the USA (where money is God) in matters of just welfare until it becomes a true democracy! !